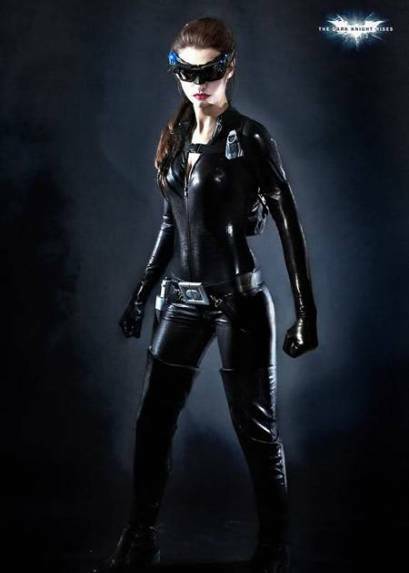 The Wort Report: UPDATE: Anne Hathaway’s Catwoman Suit Revealed! Or Not! UPDATE: Anne Hathaway’s Catwoman Suit Revealed! Or Not! 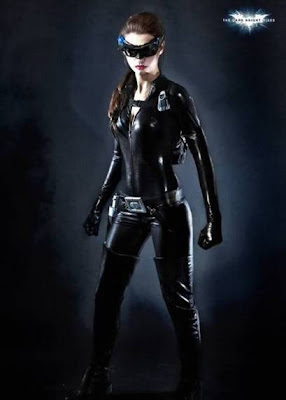 Late last week, photos of a catsuited Anne Hathaway straddling a Batpod—totally not a euphemism—made its rounds on the ‘net, generating a ton of speculation as to how Selina Kyle’s feline alter ego would factor into Christopher Nolan’s The Dark Knight Rises, which hits theaters next summer. On Saturday, notorious entertainment blogger Perez Hilton added more fuel to the fire with this unobstructed, full-body still of Hathaway’s Catwoman, complete with futuristic goggles and a noticeable lack of actual cat elements. However, a number of websites and even a few of you have noted that this graphic is a total fake. A fraud. a sham. Not real.